Culture, within a company or organization, is like an iceberg. Just as we can see only the tip of the iceberg, most of what constitutes a company’s culture is below the surface. The part that’s visible includes things like physical office space, ways the employees dress, and behavioral norms. 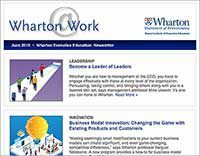 But they are not the whole picture, says Wharton management professor Sigal Barsade, who has extensively researched the subject of culture within organizations. That’s why if you are working to sustain or change the culture within your company, or are charged with hiring or promoting employees who will be a good fit, you need to understand what’s below the surface. The values and assumptions that rarely get questioned are the ones that most organizations take for granted. 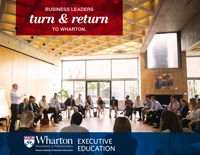 Barsade recently presented her research to a group of HR executives during Wharton Executive Education’s inaugural Global Human Resources Executive Summit. In the weeks since the event, many of the participants have reported that they are already applying some of the key concepts they learned during Barsade’s session on organizational culture.